The Midnight Rider Band was brought together by drummer Dan Jimenez. Influenced by the Allman Brothers Band, drummer Dan Jimenez brought together the Midnight Rider Band consisting great musicians with over 30 years of experience and passion for classic rock. 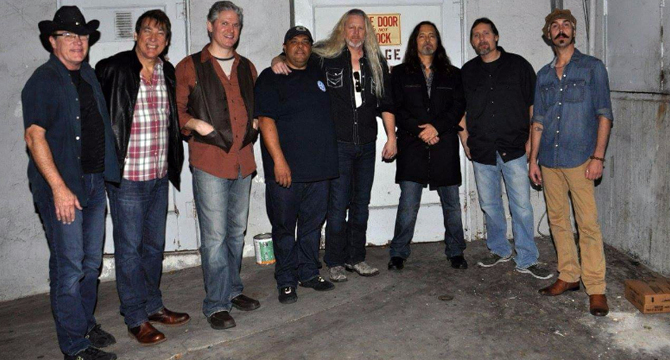 The Midnight Rider Band members includes Dan Jimenez, Louie Ruiz, William Mclung, Roy Quick, Dave Clark, Noel Deis, and Johnny Zimmerman. To find out more about each individual band memeber, click on their bio.